The Institute of Pharmaceutical Sciences (IPS) aims to accomplish and materialize the vision for provision of quality pharmacy education in Pakistan. The education system at IPS is not only sensitive to the local needs of Pakistan but endeavors to live up to the international standards so that the students passing out from IPS effectively contributing to the latest developments in the profession through research, practice and education. The Institute of Pharmaceutical Sciences (IPS) significantly advanced in providing exemplary education to pharmacy students. To meet the human resource needs and to promote the research culture in the country in the areas of Clinical Pharmacy, Community Pharmacy, Pharmaceutical Technology, Industrial Pharmacy, Pharmaceutical Microbiology and Molecular Biology, comprehensive courses are designed for award of post-graduate degrees. Academically, is it one of the institute having employed highly qualified academicians harboring various skills and expertise. The Institute maintains air conditioned, multimedia fitted lecture halls and purpose built modern laboratories equipped with latest instruments. In addition to the main library of the University the institute also has its own library containing latest text books, thousands of e-books and journals covering different domains of pharmacy. A computer lab with internet facility is available for students to complete their study related tasks. First hand training is being provided to students in hospitals, community and industry settings. The admission is highly competitive in IPS due to large number of applications received every year. As a graduate of highly prestigious and well recognized institute, Pharm D pass-outs are enjoying high job placement ratio and are working in numerous fields of pharmacy including hospitals, community pharmacy, manufacturing of drugs, quality assurance, drug regulatory authority, drug testing laboratories, academia, sales and marketing. The mission of the Institute of Pharmaceutical Sciences at the University of Veterinary & Animal Sciences is to provide excellence in pharmacy education and emerging related disciplines, and, to prepare highly skilled leaders and innovators excelling in pharmacy practice, education, research and public service. horizon of the role of pharmacy profession has also expanded to include more varied health care related functions. To support the growing health care needs of the country, the Institute of Pharmaceutical Sciences (IPS) of The University of Veterinary and Animal Sciences (UVAS) recruited the first batch of students in its five years’ Pharm D program in 2008. The Institute is offering modern teaching and learning facilities through the academicians, who are professionals either in the field of Pharmaceutics, Pharmaceutical Chemistry, Pharmacognosy, Pharmacology or have firsthand experience of Hospital and Community Pharmacy. It maintains air conditioned & multimedia fitted lecture halls and modern laboratories equipped with reliable instruments. 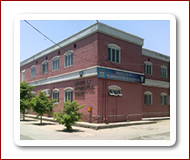 Additionally a library with latest books / journals, more than 400 e-books and computers with internet facility has been provided for the students. nurturing and accountability, the academic curriculum for studies and the strongly committed faculty within the Institute of Pharmaceutical Sciences of the University of Veterinary & Animal Sciences, aims to train the students indoctrinated with the ability of life long learning, leadership skills, competency, integrity, social responsibility, population based care management, and commitment to maintaining professional competence and development throughout their careers. Pharmacists are specialists in the science and clinical use of medicines. Bio pharmaceutics and bio-equivalence studies. Formulation development and pharmaceutical technology beneficial for the pharmaceutical sector. Pharmacy practice and thereby equipping the postgraduates with skills to analyze the health care needs of the country and developing their research skills to benefit the common man as well as the public sectors of Pakistan. 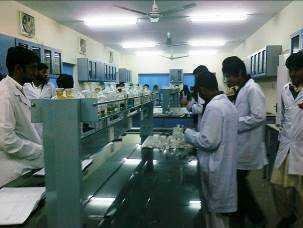 Application of molecular biology and biotechnology in pharmacy.